Cover of the book the special was going to be based on. Diary of A Wimpy Kid is a children's book series about a middle school kid named Greg Heffley, and his misadventures with his friends, family and bullies. As of 2019, there are currently 13 books in the series. 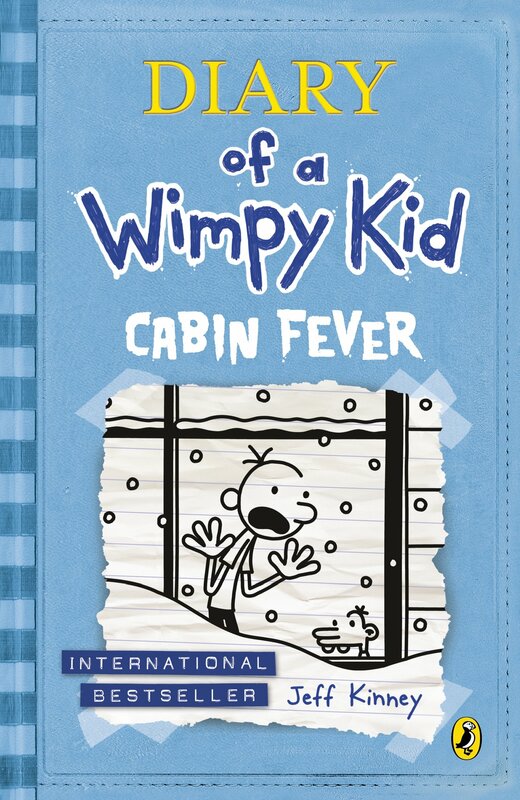 The sixth book in the series is named Diary of a Wimpy Kid: Cabin Fever. The plot follows Greg's usual antics, until about halfway through the book where a snowstorm shuts down the schools, and Greg's family has to find ways to stay warm. What is not known to the public eye is that there was a planned animated special based off the book. Around December 2012, Jeff Kinney was featured at a premiere event in the UK. He confirmed that the third live-action film was the last one in that genre (at least until the sequel in 2017 with a new cast), but he also announced an animated television special based on "Cabin Fever." He announced it for a 2013 date. About a year later, after the eighth book, Hard Luck, was revealed, Kinney was interviewed again about various things, and after confirming that there would be no more live-action movies for the time being, he mentioned the special again, this time planning it to air on the FOX network sometime in the 2014 holidays. As of 2019, nothing of the project has surfaced. Jeff Kinney has made another live-action movie since then, but nothing about the animated special has been announced since 2013. However, around late 2018, an animated television series based off the books was announced by Fox. It is possible that elements of the books, specifically elements of Cabin Fever, may make it into this series, which might appear on Disney's upcoming streaming service (due to their acquisition of 20th Century Fox). This television series is probably the closest to the cancelled special.